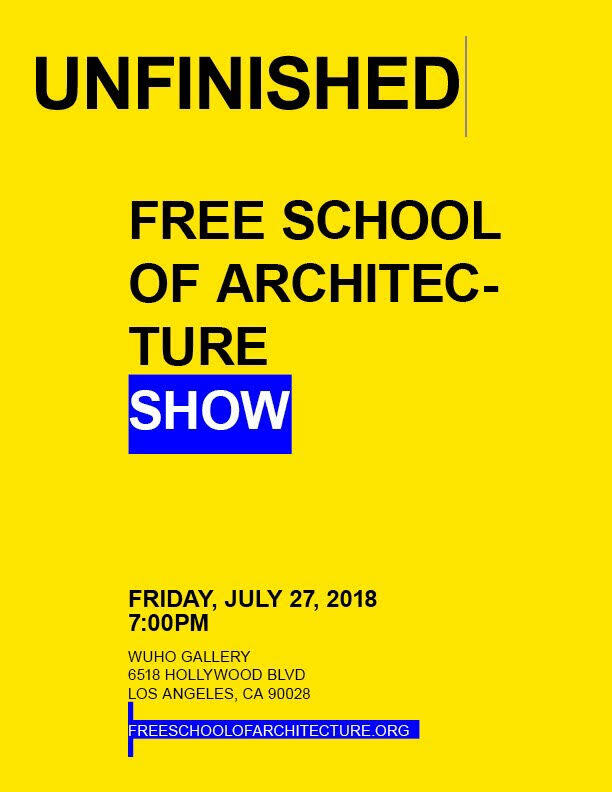 The Free School of Architecture’s 2018 final exhibit attempts to catalog and categorize five weeks of architectural exploration. A wide range of disciplinary and interdisciplinary interests, collaborators, references and resources are swallowed up in this exhibit as an unfinished diagram. Come by and visit the ever-evolving network of what the FSA is and does.